For this project, ESA partnered with the nonprofit, After School Matters, to create a satellite location for their apprenticeship programs, programs that have been running for 25 years. 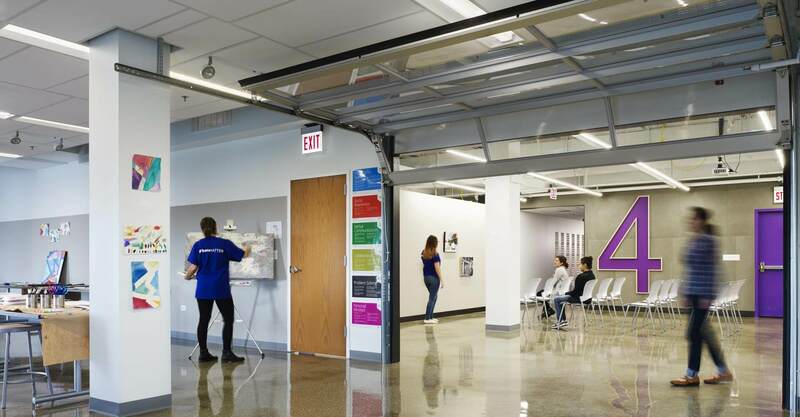 ESA was tasked with the goal of transforming an existing four-story building into a beacon for culinary, arts, and technology programs for the teens of the Belmont Cragin neighborhood. 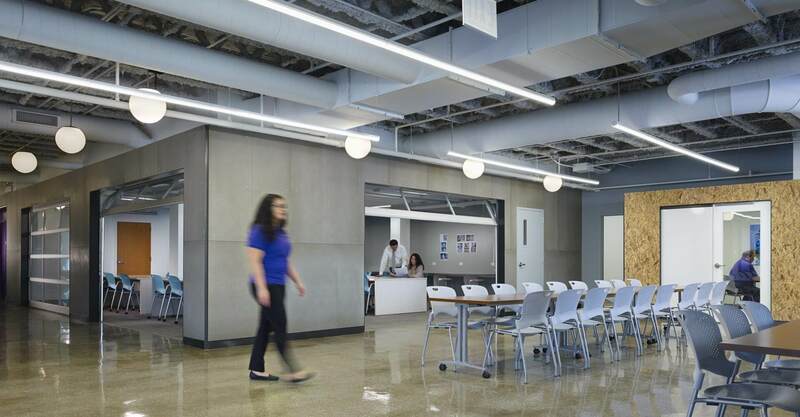 The predominantly interior renovation includes a commercial grade teaching kitchen and dining area, dance studio, sound rooms and vocal booths, art gallery space, digital technology labs, and various studios for the practice of visual arts. 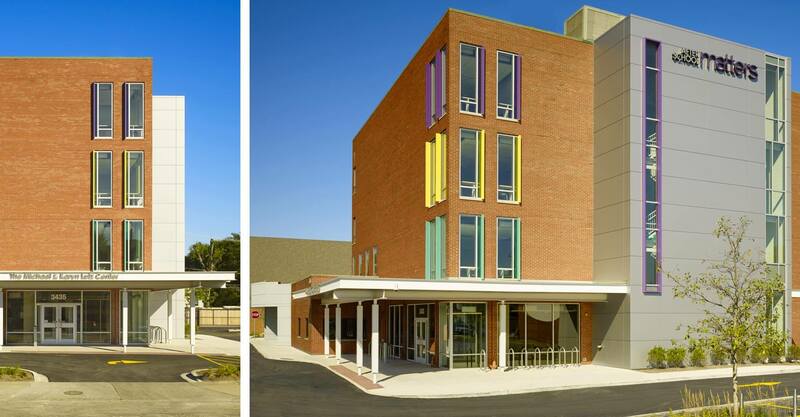 The exterior improvements include additional punched openings for added interior daylight, landscape updates, a covered entry canopy, and a new stair tower which will bring the building up to modern building codes. Recognizing the After School Matters vision, ESA strived to create an interior space which became a blank canvas for the students to experiment and transform each surface into their own artistic expression. 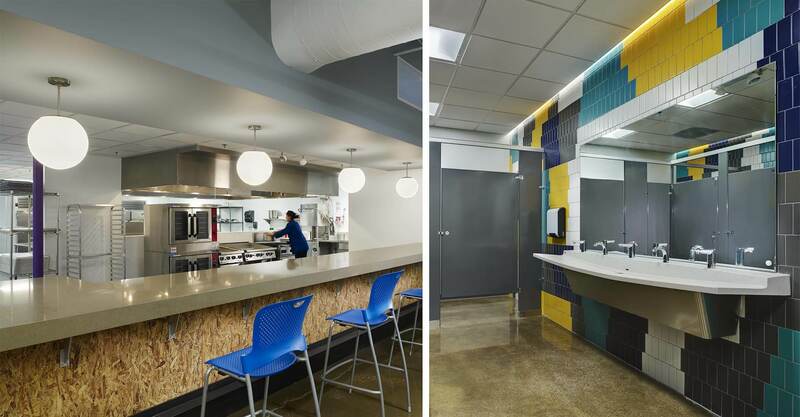 Walls and surfaces of the interior are clad with materials which welcome transformation into something the students may proudly claim as their own.